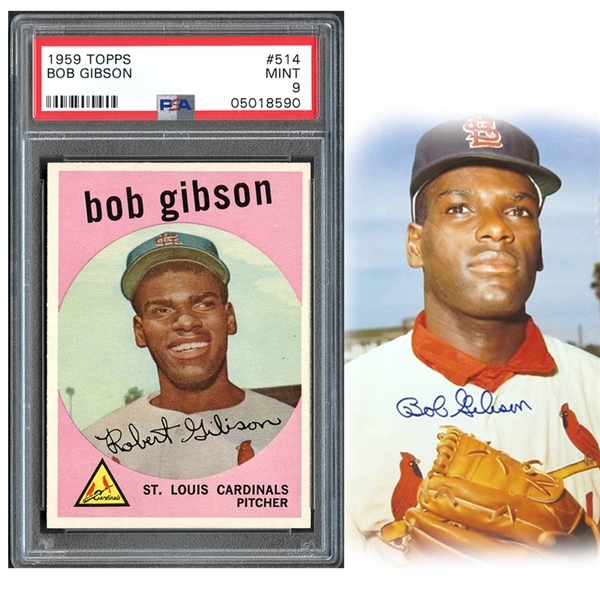 "Don’t dig in against Bob Gibson, he’ll knock you down. He’d knock down his own grandmother if she dared to challenge him. Don’t stare at him, don’t smile at him, don’t talk to him. He doesn’t like it. If you happen to hit a home run, don’t run too slow, don’t run too fast. If you happen to want to celebrate, get in the tunnel first. And if he hits you, don’t charge the mound, because he’s a Gold Glove boxer." That's former all-time home run leader Hank Aaron describing what it's like to go against hurler Bob Gibson. A great pitcher throughout the 1960's, Gibson was so masterful in 1968 that he caused the league to change the rules so that hitters had a better chance against him. He was far and away the best pitcher in a season where pitchers dominated the league, and his 1.12 ERA still stands as the greatest mark in modern history. Gibson tossed 13 blanks that season and surrendered four earned runs in a game only twice, one being an 11-inning performance. 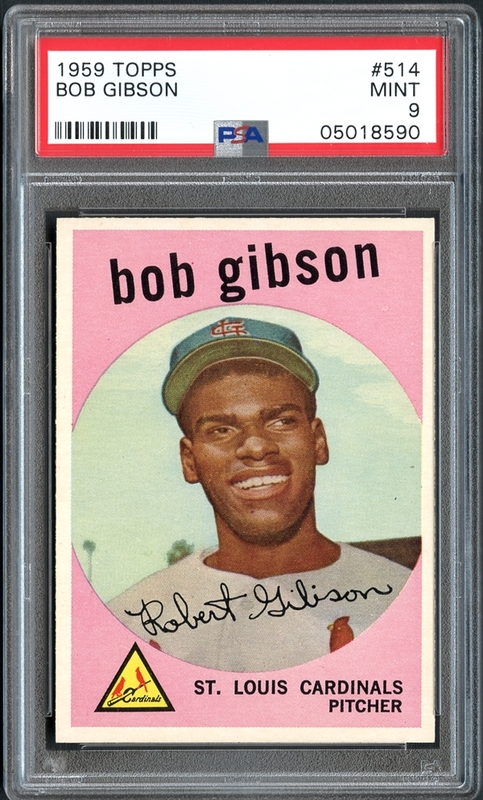 Gibson made his rookie appearance in the 1959 Topps set and the featured prize, graded PSA 9 MINT, really couldn't be any more pack-fresh. 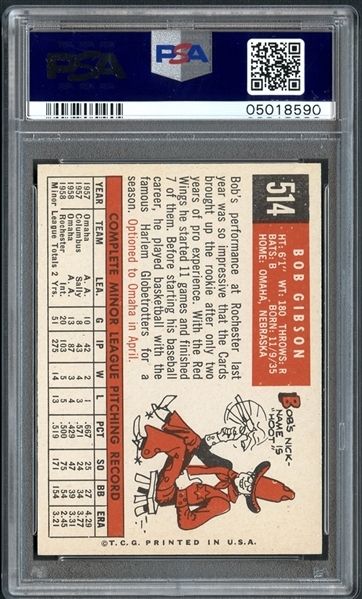 The centering is within a few percentage points of hitting the bulls-eye with a right side rough-cut that seems intensified by the brightness of the ivory-white borders. Each of the four corners proudly stands up to the lofty MINT grade while the hot pink coloring surrounding his image is as clean and dominant as his blazing fastball. Look at some of the prices realized for other iconic MINT rookie cards from the 1950s and you can only conclude that the investment potential here is enormous.